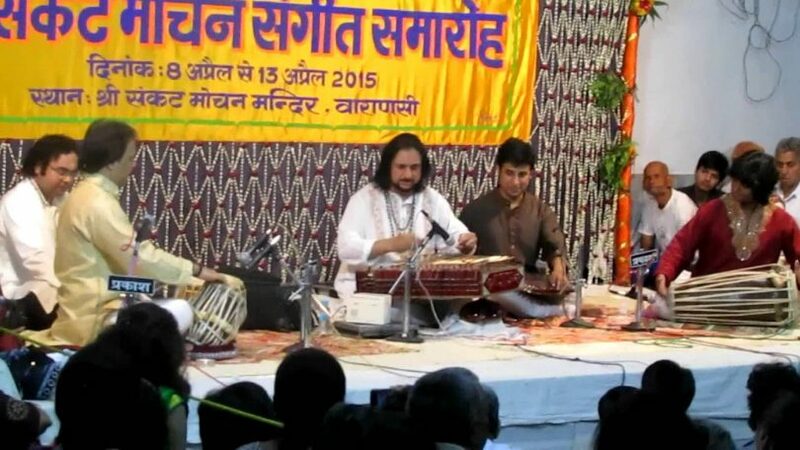 Sankat Mochan Music is a festival which is celebrated in Sankat Mochan Hanuman temple, Varanasi, Uttar Pradesh with great zeal. It attracts acclaimed classical musicians and dancers from all over India. The local people, pundits, and tourists come in tandem to highlight the musical event held from dawn till dusk, as part of Hanuman Jayanti i.e. birthday of Lord Hanuman. The participatory dance during the event shows the evidence of raw energy in this place and the sights of monkeys looting fruits creates a euphoric pleasure which can only happen in Banaras. The entry to this event is open for all. This year this festival will start from April 4 and will continue till April 10, 2018. These six-day many artists from all the eras turn up and play the music. This festival demonstrates the continued power of bhakti for many Indians. Artists don’t take any charge for performing in this event, they just show their dedication to Lord Hanuman. Some special days are fixed for showing their dedication and devotion towards Lord Hanuman. This yearly celebration holds a different place in the hearts of the crowds who visit it every year. The music which is played touches their hearts and souls. This 6-day long celebration is a tribute and a devotion to Lord Hanuman and the artists feel respected to be a part of this magnificent felicitation. Artists like Vishwamohan Bhatt, Pandit Jasraj, Kumar Bose, Akram Khan and others come and perform each year. The celebration of this festival started in 1970 and it continued till today. People belonging to Banaras domicile enjoy this festival. This is usually celebrated after the Hanuman Jayanti. This year Hanuman Jayanti took place on March 31 and April 4 to April 10 is scheduled for this festival to take place.